The emergence of e-commerce has definitely re-defined shopping experience. Naaptol, one of India's leading veteran in world of home-shopping has set a new benchmark with its quality focused products. Quality is our foremost goal and we strictly focus to deliver quality-focused brands at discounted price and Kwitech is one such brand. Naaptol helps you choose the best Mobiles Brand products are identified for their premium quality, exceptional performance and durability. 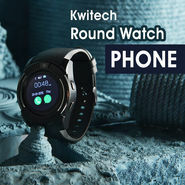 The superior features and benefits of the Kwitech Mobiles make it stand apart from the crowd. Especially for consumers, choosing a reliable brand in crowd of countless brands becomes a herculean task and this is where Naaptol helps you browse, compare and choose the brand that compliments your needs.